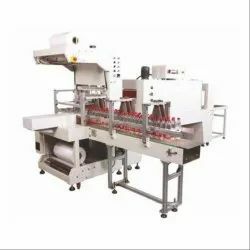 Automatic & Semi Automatic Strapping Machines, Carton Sealing Machines, Continuous Sealing Machines, Fully Automatic Packaging Machine, Packaging Materials, Shrink Wrapping Machines and Stretch Wrappers. These are designed & fabricated by our team of experts using high grade material. Our offered range is highly demanded by our esteemed clients all across the globe due to its quality material & features. 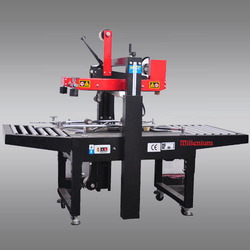 In order to meet the over growing requirements of our clients, we are engaged in manufacturing and supplying Semi Automatic Strapping Machines of high strength and efficiency and also of good quality. 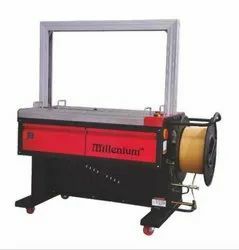 Various models and types of Semi Automatic Strapping Machines are offered by us by using optimum quality components and raw materials obtained from our reliable vendors of the market. 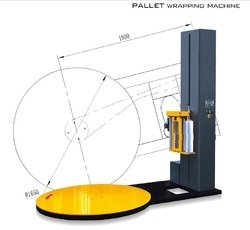 We offer our clients a wide range of Automatic Strapping Machines at par with the international standards. Our professionals use advanced techniques and machinery in order to supply the best quality products to our customers. 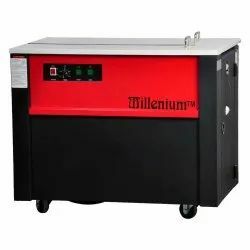 We ensure reliability and durability to the products offered by us by using use good quality raw materials sourced from our certified vendors of the market. 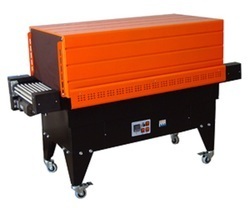 Various kinds of Sealing Machines are offered by our organization at market leading prices. 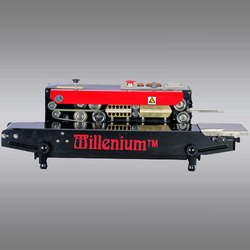 At the same time clients can avail from us Carton Sealing Machines at par with the international standards. This particular product is primarily used for sealing different types of food and dairy products, pharmaceuticals and cosmetics. Clients from all over the world can avail from us a wide range of Stretch Wrappers. We offer products at par with the international standards and also at market leading prices. We ensure durability, reliability and longer service life to the products supplied by us. Continuous Sealing Machines supplied by us serves their purpose in many industries like textile, food, pharmaceuticals, cosmetics and chemical industries. Auger Filling Machines and Cup Filling Machine of different types, sizes, grades and dimensions are also offered by us at pocket friendly prices and also of international standards. 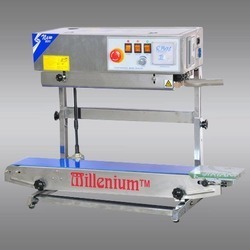 We use latest machinery and cutting edge technologies in order to develop and also to design Vacuum Packaging Machines of best quality and also of high strength. 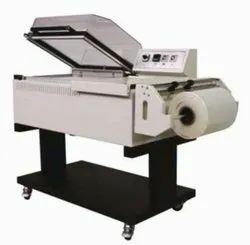 Our certified vendors provide us good quality raw materials to provide completes satisfaction to our customers by providing them top quality Vacuum Packaging Machines. 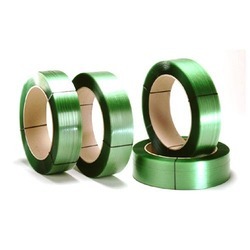 Our organization is the leading suppliers of Pet Strapping Rolls as well as Packaging Materials. 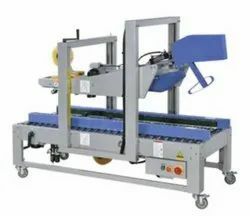 Apart from these two products, we also offer our clients many other products like Semi Automatic Strapping Machines, Carton Sealing Machines and Automatic Strapping Machines. Our team of experts makes us capable of manufacturing and supplying the best quality Pet Strapping Tools to our valuable customers. 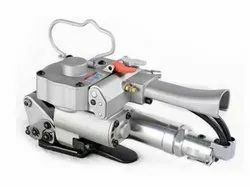 Pet Strapping Tools offered by us are mainly used for the purpose of packaging in many industries are available in the market at economical prices. 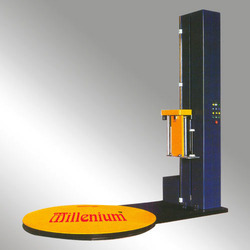 Our range of products include automatic shrink packaging machine and label shrink packagers. 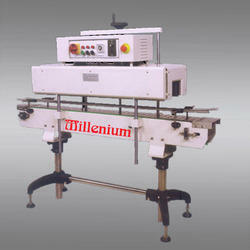 Leading Manufacturer of automatic strapping machine from New Delhi. Our range of products include pallet wrapping machine, reel wrapper machine, coil wrapping machine, stretch wrappers and shrink wrapper for bottles. 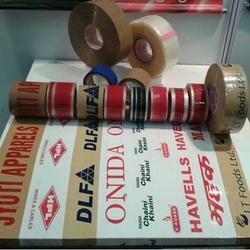 We are a leading Manufacturer of carton sealing and strapping combo system from New Delhi, India. Offering you a complete choice of products which include shrink chamber. 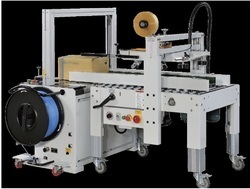 Our product range includes a wide range of fully automatic sleeve sealing shrink packager. 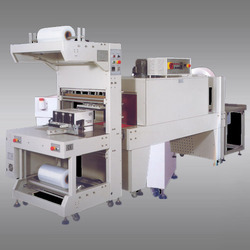 Leading Manufacturer of automatic carton taping machines for food industry from New Delhi. 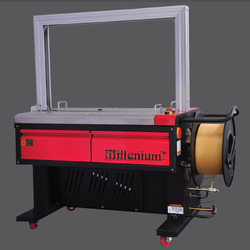 Our product range includes a wide range of strapping machine.